In this piece from Mountaineer magazine, Glenn Nelson discusses the impact President Obama had on public lands, his inspiration for founding the Trail Posse, and his work with the Next 100 Coalition. In Tucson, a large Latino community abuts Saguaro National Park but seldom visits it. It was there that I met Cam Juárez through work that Barack Obama made possible. 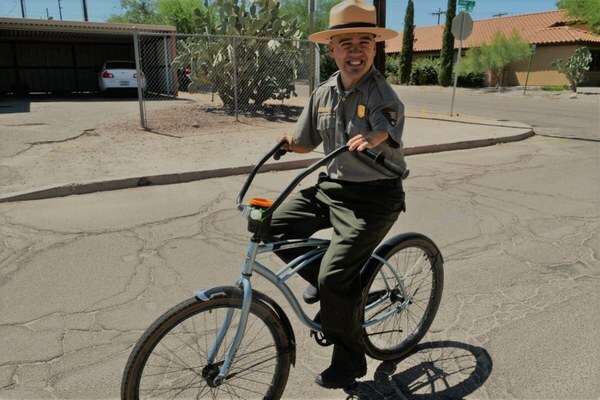 Juárez was a planner and project manager outside the Park Service when he agreed to take on the challenge of connecting his community with Saguaro. Juárez is a miracle, really. He has birth defects that caused shortened upper limbs and missing digits, and a cardiac condition. His mother was a single parent and a migrant farm worker in California’s Central Valley, where she likely was exposed to pesticides associated with defects suffered by her son and now her grandson as well. Juárez has a weakened heart, but it is large. And it was emboldened by his president. When he ran for a non-partisan school board position, Juárez was on the same ballot as Obama in 2008. He and his wife worked on both Obama presidential campaigns. His son was conceived during Obama’s 2008 run. I say I met Juárez through the president because Obama has been our President of Color, our First Person of Color – our POC-in-chief. For the first time in my lifetime, I and other people of color in this country have felt truly seen by the man in the White House. And because of his illumination, we have seen each other. It was that vision that prompted me to found The Trail Posse to encourage and document diversity and inclusion in the outdoors. That work led me to join some 30 other civil rights, environmental justice, conservation and community organizations to form the Next 100 Coalition early last year to advocate for greater inclusion of diverse communities in public lands. Our most urgent endeavor was to ask Obama to issue the Presidential Memorandum Promoting Diversity and Inclusion in Our National Parks, National Forests, and Other Public Lands and Waters, which he signed Jan. 12. The sweeping document sets in place vital mechanisms to ensure access, relevance and inclusion on federal public lands and waters, outreach and engagement efforts, and workforce diversity and youth workforce initiatives. The memorandum addresses the crucial connection between communities of color and other marginalized groups to federal public lands and therefore the future of our country. The demographics of our country and the impacts of climate change are on parallel tracks. It is imperative that our constituents are connected to public lands and therefore, as the projected nonwhite majority in the U.S., have the commitment and political will to mitigate the impacts of global warming, which we tend to feel first and disproportionately. Obama has recognized that reconnecting the disenfranchised involves more than hanging a “Welcome” sign at existing parks and monuments. It requires creating units with geographic and cultural relevance. Three of the five national monuments Obama designated the same day he issued the memorandum – Birmingham Civil Rights, Freedom Riders, and Reconstruction Era – help tell a more complete story of our country’s civil rights and post-slavery past. So does the Harriet Tubman National Historical Park Obama designated earlier that same week, as well as Bears Ears and Gold Butte National Monuments just weeks before. The Obama administration has created, expanded or re-designated 25 national parks, monuments and preserves that have cultural relevance to marginalized groups; many, by being near urban centers, also offer better geographical access. The memorandum and designations set in place a blueprint for a new normal that accommodates, fosters and celebrates the ways that different groups connect with federal public lands. Like the healthcare system, those advances could suffer the misfortune of being characterized as Obama legacy items. That would be a shame because the Next 100 Coalition is trying, simply, to establish a lasting human legacy, and believe that should outlast any one president. In pursuit of support for the presidential memorandum, we in the Next 100 Coalition spent our first months reframing the discussion about communities of color and our connection with nature. We have insisted, through the first-ever poll of voters of color, meetings with public lands agencies, Twitter chats, forums with the Congressional Hispanic Caucus Institute and Congressional Black Caucus Foundation Conference, and dozens of op-eds and radio and television appearances, that we already are outdoors. We just haven’t been connected to public lands in the “traditional” manner as defined by mainstream, white America. I have confirmed such through my own work as a journalist while traveling much of the country to document race in the year of the National Park Service centennial. For a year, I followed Nancy Fernandez as she fell in love with public lands, struggled to gain permanent employment to steward them and, at the last minute, earned a job with the U.S. Fish and Wildlife Service. In Colorado, I watched Shelton Johnson, the only full-time black ranger at Yosemite National Park, hold the World Ranger Congress in utter rapture with the story of the Buffalo Soldiers, the African American precursors to them all. In Southern California, I met Antonio Solorio, a Mexican-born ranger who administrates the groundbreaking SAMO Youth program connecting high-school youth of color to public lands. His colleague, Michael Liang, is gay, Chinese-American and a “Centennial Ambassador” who has impacted National Park Service messaging from coast to coast, including North Cascades National Park. I also had the pleasure of writing about Masyih Ford, who is from Tacoma and another young person of color who highly impacted the North Cascades. Ford not only was highly popular with visitors and those who supervised him, he checked off three boxes for the National Park Service because he is African American, gay and Muslim. But the Park Service lost Ford because of the arcane federal hiring system, which is precisely why the Next 100 Coalition sought the presidential memorandum. Barack Obama is the reason I met Audrey Peterman, who has been advocating for inclusion and access to U.S. public lands for more than 20 years. When the last of their children graduated from college, she and her husband Frank, a long-standing, influential civil-rights activist, embarked on 12,000-mile, 40-state road trip to “discover America.” What they discovered, mostly, were national parks and their overwhelming lack of diverse visitors. That didn’t stop Peterman. The native of Summer Field, Jamaica, and U.S. citizen since 1996 has visited 179 units of the National Park Service, from Acadia to Zion. 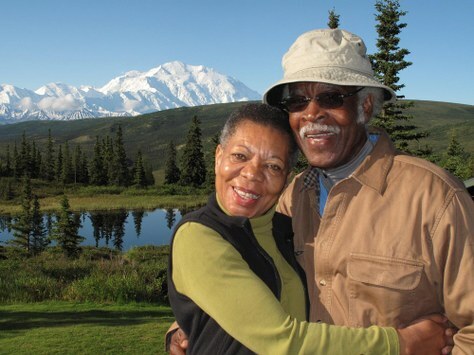 She and Frank also founded Earthwise Productions and the Diverse Environmental Leaders to raise awareness of public lands, with a focus on Americans of color. It took President Obama to re-energize Peterman and connect the two of us through our similar work. Obama also was our conduit to Maite Arce, who founded Hispanic Access in 2010 to connect Latinos with partners and opportunities to help develop a healthy environment, economic success, and active civic engagement. He led us to Angelou Ezello, who started Greening Youth Foundation in 2009 to connect more youth and young adults of color to the outdoors and careers in conservation. And because of Obama, we connected with Jes Ward of cityWild, which began in 1998 to advocate for and provide access and employment opportunities in the outdoors for youth. “I thought the Obama presidency would give African Americans, in particular, a sense of belonging that we have lacked and that under his administration all Americans would come to know about our parks, our history in them, and come to value them as vacation destinations and part of our legacy,” Peterman says. The POC-in-chief, whose truest color has been green, has both seen us and changed the way we are seen. From Peterman to Juárez, the people I’ve encountered under Obama’s watch are remarkable for the mark they’ve made on this world – regardless of race. And the triumph that was the presidential memorandum was for all of them, for those who came before them, and for all who are to come. Cam Juárez, PARKing Day 2016. Photo courtesy of Cam Juárez. Glenn Nelson is the Seattle-based founder of The Trail Posse which, in partnership with High Country News, regularly covers race, diversity, and inclusion in the outdoors. Glenn is also a member of the Next 100 Coalition, envisioning public lands for all.